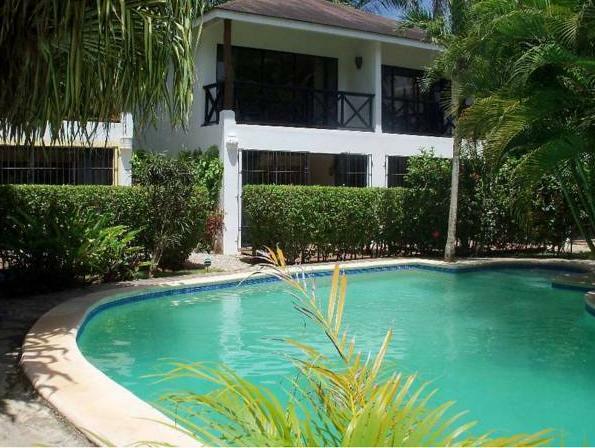 ﻿ Best Price on Condo Hotel y Villa Playa Las Ballenas in Las Terrenas + Reviews! Condo Hotel y Villa Playa Las Ballenas is an apartment located in Las Ballenas Beach, just 98 feet from the beach and 5 minutes' drive from the city center. The apartment has an outdoor swimming pool, a nice quiet garden and free WiFi is available. Amid a luscious garden, Playa Ballenas’ room is air conditioned and has a private bathroom with a shower. Also the apartment features a dining and seating area, which has a sofa bed, an equipped kitchen, plus an additional bathroom. In the terrace you can enjoy the sun and the garden. The property has free public parking available. Some of the suggested activities to practice are surfing, horse riding and scuba diving. Please note, parking is limited and is available on first come, first served basis. We include the initial supplies free of charge(drinking water, soap, toilet paper) Additional supplies are available for purchase at a minimal charge. We can arrange taxi transportation and tours upon request. Please inform Condo Hotel y Villa Playa Las Ballenas of your expected arrival time in advance. You can use the Special Requests box when booking, or contact the property directly using the contact details in your confirmation.